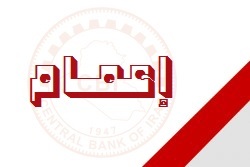 The Central Bank of Iraq announced on Tuesday its intention to extend letters of guarantee to exchange companies. 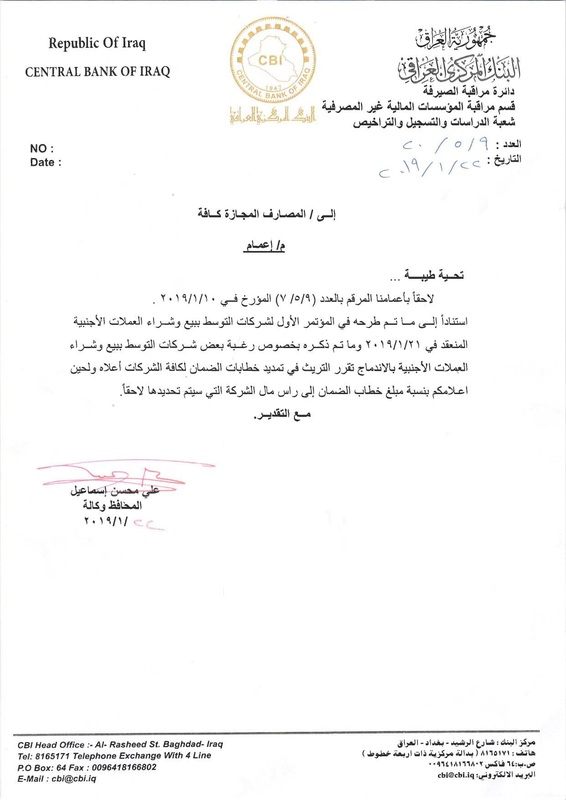 "Based on what was put forward at the first conference of companies that mediate the sale and purchase of foreign currencies through the desire of some companies to mediate integration, it is decided to delay extending the letters of guarantee to all exchange companies," the bank said in a statement received by the economy. "The exchange companies will be informed by the amount of the guarantee letter to the company's capital to be determined later," the bank said. The Central Bank decided on January 9 that the period of validity of letters of guarantee issued by banks for the benefit of companies to mediate the sale and purchase of foreign currency for six months instead of one year. A letter of guarantee is a pledge issued by the bank at the request of the customer in which the bank undertakes to pay the value of the letter to the account of a third party, the beneficiary in the event of a claim to pay it from within a certain period.